What does SUP mean? It stands for Stand Up Paddle Board. It means a whole lot more to us though! It is a whole world of adventure on the water. There is a thrill and excitement that comes from standing on the water, floating above the ocean, with all the wonders of wild life and nature below and all around. We want you to have epic SUP experiences! At Dana Point, you have easy access to the water with free parking right there. You also have a protected harbor which gives you flat calm water to paddle in. You can paddle around the man-made island staying within the harbor, or you can paddle out past the jetty for open ocean paddling, or paddle over to Doheny State Beach to go surf some waves! 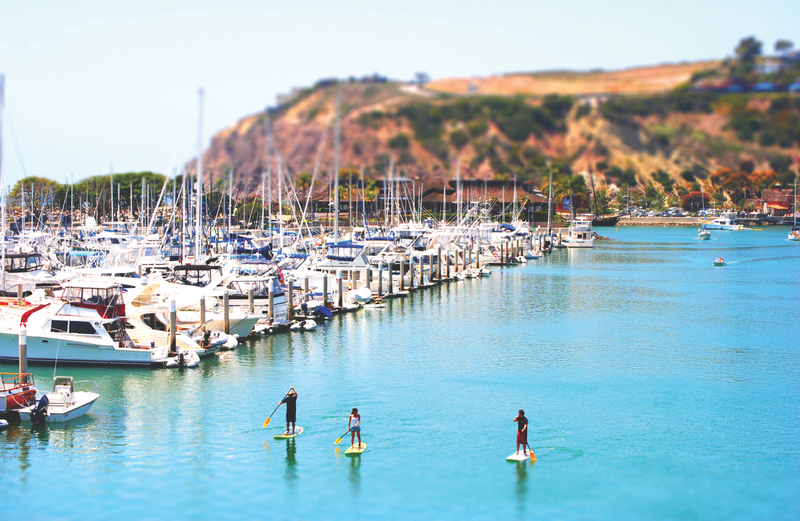 If you're going paddle boarding in Dana Point, there are plenty of places to eat, play and explore there too. You can buy a SUP lock from us for your board, and it’s easy to lock your board and enjoy more of Dana Point than just the water! PADDLE BOARD RENTALS DELIVERED FREE NO TIME LIMITS! Don't worry about the clock with us. 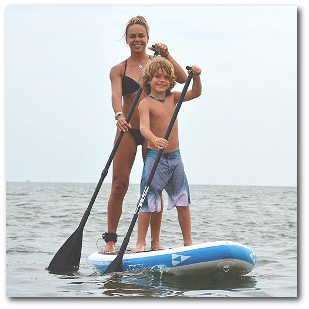 SUP TO YOU offers Dana Point paddle board rental that is easy and hassle free! We rent premium SUPs to take out on the water and we offer our great flat fee for as long as you want! Go ahead and plan your day! We drop off your boards to you when you want them and pick them up when you're finished. (Most places rent by the hour! ) And you can have us deliver a SUP to your doorstep! We will get you fully outfitted: from getting you dialed in with your best suited paddle board, paddle board paddle, and all the proper gear, accessories and equipment you will need. It’s the best and only way to buy a sup! And we demo all the premium stand up paddle board brands and models that we are famous for. PRIVATE DEMOs. Go on our website and pick out multiple, top of the line SUP's and then try them all out on the water side-by side before you buy one. DEMO DAYS. Every Saturday at Baby Beach, Dana Point, we have our SUP DEMO DAYS. You can try out all the different SUP board types and models to compare and determine which paddleboard is best suited for you!